If you are looking for a Concept to Completion custom home builder that will consider YOU to be the most important partner in the construction of your new home or home remodeling project, then Gatliff Custom Builders should be your first choice. Randy Gatliff has an extensive background in design and construction. Before Randy started his own custom home building business, he spent more than 18 years working for Club Corporation of America (CCA), which owns and/or operates approximately 250 prestigious country clubs and golf resorts to include Firestone Country Club and Pinehurst Hotel and Resort in Pinehurst, N.C. Serving as a Regional Construction Manager, Randy was responsible for designing, building and renovating country club facilities all along the East Coast. Randy has earned the appreciation of his customers by providing the highest level of quality construction services while maintaining the highest levels of honesty, integrity, and fairness. Randy has delighted new homebuyers for nearly 20 years with creative design solutions, product innovation, fine craftsmanship and meticulous attention to detail. His inspiration to build unique and diverse custom homes comes from listening to you and your ideas about the home you want to create. Our team can be found on your home’s job site daily. We believe communication between you and the people you trust to build your home is of the utmost importance, so any questions or concerns are addressed quickly. Randy knows that it takes quality people to do quality work. He has put together a talented group of sub-contractors over the years that help in building your home. These trade-partners take pride in their work and will strive to exceed your expectations. Gatliff Custom Builders will help you develop a home design that is practical, yet uniquely “You”. There will be no surprise construction delays because you will receive a well-planned schedule of events detailing the process of construction all the way through the date of completion. 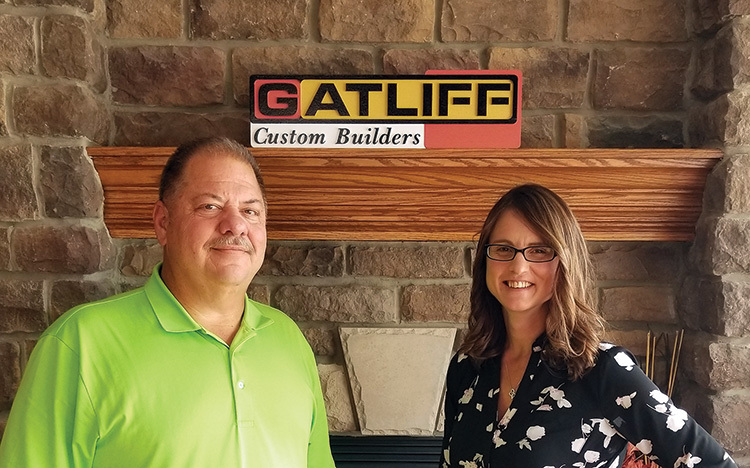 Known for reliability and integrity, Gatliff Custom Builders has never missed a scheduled closing. You can rest assured that you will love your home for many years to come due to Randy’s unyielding desire to exceed your expectations, and build the best possible home for you and your family. Partner up with Gatliff Custom Builders to build your ultimate custom home or for your next home remodeling project.